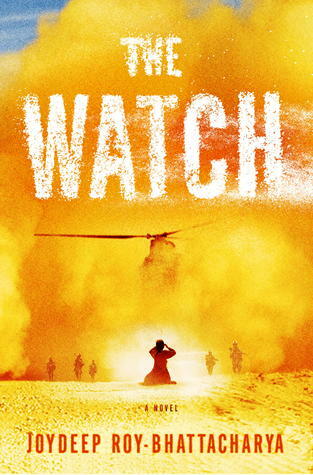 The Watch by Joydeep Roy-Bhattacharya begins with an act of pure bravery. A young Afghan woman has planted herself in front of an American base full of soldiers in remote Kandahar. She has pulled herself down a mountain pass on a cart by hand as her legs are nothing more than blown-off stumps. She passes the bodies of her brother’s comrades and stops only when bullets from the base bring her to a halt. She has come for the body of her brother – a combatant killed in a firefight with the soldiers of the outpost and now housed inside the base. Watched warily by the armed men inside, she refuses to budge from her spot. But they can not give this woman – Antigone – her brother’s body as he has been deemed a person of interest and his body is to be flown to the capital. The American soldiers have orders to follow and after her brother and his friends killed their “brothers” in a gunfight, they are not inclined to grant favours to the sister of their enemy. And so a stand-off begins. The soldiers within the compound are an assorted bunch of young and seasoned soldiers, each suffering inner and outer wounds that come from the brutality of war. The story passes from the point-of-view of one soldier to the next. From the battle that leads to the deaths of some of their brothers to the tragic aftermath. The reader learns through flashbacks about their lives at home, the women they have left behind and how they came to be in this place at this moment. The appearance of Antigone causes unease amongst the men. Is she really a woman or an insurgent in disguise? Is she a suicide bomber or a decoy to distract them so another battle can begin? And if she is the hurt, unarmed young woman she appears to be, where does she get the courage to stay out in the heat of the day and the cool of the night in front of armed men? In the midst of war, have they all forgotten what it is to be human or do they now choose not to make war against an unarmed civilian woman? This novel is based on the Ancient Greek myth Antigone – also a play by Sophocles – and placed into the battlefield of Afghanistan. You don’t need to be familiar with the myth to read this book. At times I found the Ancient Greek references a bit jarring and thought the book would have been stronger without so blatantly referring back to this myth. And there was also a part of the book towards the end that was a tad self-indulgent and didn’t seem to add to the narrative, but on the whole I really enjoyed this book. I thought the characterisation rang true and that the concept of a stand-off between a bunch of armed men and one woman was compelling. It won’t be everyone’s cup of tea, but I’m glad I gave this a read.